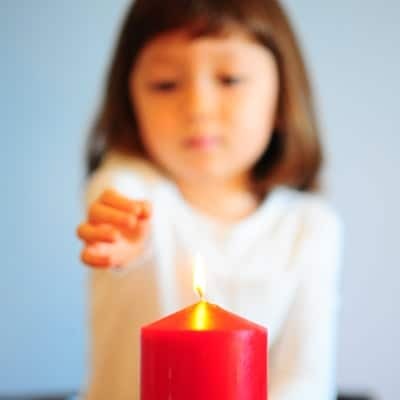 Children cause thousands of home fires each year by playing with matches, lighters or candles. Matches and lighters are not toys! We know you are naturally curious! It’s normal to want to explore the world around you, but fire is dangerous. Many fires caused by children playing with lighters, matches or candles begin in bedrooms. You should make sure you, your brothers and sisters and your friends know never to play with matches, lighters or candles. Tell your parents to store lighters and matches in a place you can’t reach, or in a locked cabinet or drawer. Play a fun game where you round up all of the matches and lighters throughout your home and put them in a safe place. Make sure you always promise to use fire safely only in the presence of an adult. Never let your parents leave you in a room alone with a lit candle or with lighters or matches. Don’t let your teenage brothers or sisters have candles in their bedrooms.